Find out how to change the way you think to succeed – watch our panel discussion online now! Thinking about Thinking brought together high-achieving alumni to discuss how changing the very way you think will significantly improve academic results, increase employment prospects and maintain well-being. 'Live now' on YouTube, the panel event, hosted by Radio 4 journalist Aasmah Mir, addressed the psychological barriers experienced by students and provided advice on improving reasoning ability. Our panel guests including Law School alumna Georgie Twigg, Bristol alumna Elsa Hammond and current Law School Professor Michael Ford, gave personal and moving accounts of how they had overcome these barriers in an effective way to help them go on to achieve great things in their specific areas. Metacognitive psychologist, Dr Stephen Fleming worked through the common themes such as lack of confidence/self-belief, dealing with set-backs and coping with pressure amongst others. 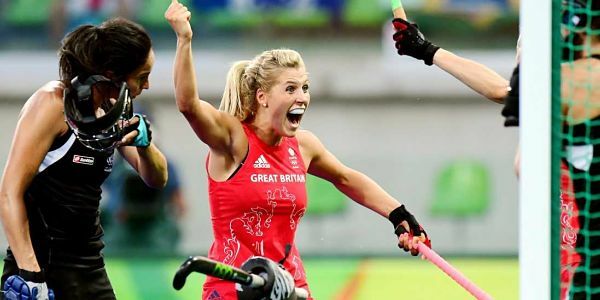 Hear how Olympic Gold medallist, Georgie Twigg explained her initial nervousness and lack of self belief in the early part of her career, but how through practise her confidence began to grow and her performances reflected this. Find out more about Dr Stephen Fleming’s response and how, essentially faking it ‘til you make does help you to perform and change the way you think. Discover how Elsa Hammond, on solo rowing across the Pacific, experienced losing her oars, being circled by a great white shark and battled with extreme weather conditions. Hear how although she felt out of control during a lot of the time she was there, she realised that she was in control of how she was thinking about the situation and responding to it inside. Dr Stephen Fleming expands on the notion of realising you have control over the way you process information and the importance of building your inner resilience. Listen back to gain more tips on building resilience and self-management. Listen back to hear Elizabeth Rimmer, CEO of LawCare talk about finding more time to do the things that make us happy in life and ensuring we strike the right balance between work and play. Hear how working effectively, with clear goals in mind allows you to become a more rounded person. Make sure you watch the event online for a variety of tips and techniques that were discussed during the evening to help provide you with practical advice to help in your studies and to promote your overall well-being.